Most of us here at Enleaf have been in the digital marketing space for nearly a decade and one thing that we have learned is that when it comes to SEO there is no de facto step by step process that will guarantee results. A lot of this is due to the reality that SEO is part art and part science and much of what is learned about what works is done through lots of testing and research. Just about every individual and agency in the space have their own processes and methodology for both On-Page and Off-Page SEO. This is what leads us to wonder how other industry experts divide their time between these varying aspects of Search Engine Optimization. 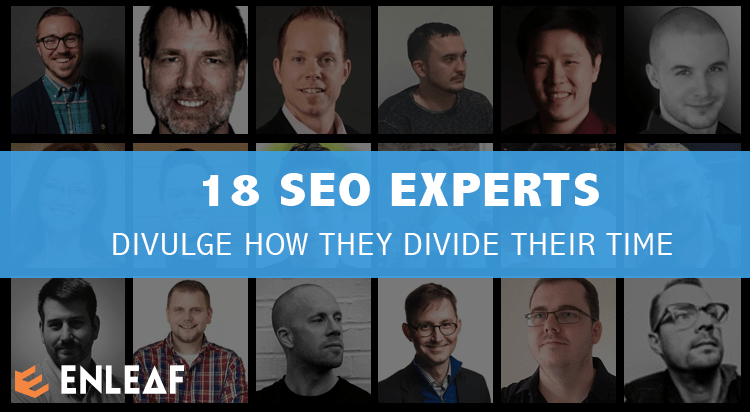 We asked 18 thought leaders in the digital marketing space about the amount of time dedicated to both on-page and off -page SEO and here are their responses. If you could only choose only one tactic for On Page Optimization what would it be? If you could only choose only one tactic for Off Page Optimization what would it be? 2. Comprehensive coverage of the focus topic by ensuring proper usage of semantically related terms and topics. 3. Link building to make sure all related pages are incorporated together into a content hub complete with pillar page and supporting content. 1. We may be dealing with structural changes, code revisions, and content optimization for on-page related optimization. On the other hand, we’re dealing with things like directory submissions and inbound links for off-page optimization. Clearly then, they’re both inherently different. Despite that, I feel both are equally important if you want to improve their search engine rankings. You can’t ignore one, focus on the other, and then hope to do well. That said, it really depends more on the client and project requirements. Presently, most of the work we’re doing has a healthy 60-40 split in favor of off-page optimization. But again, that’s primarily because of the nature of the projects. It could easily have been a 20-80 split if the client was struggling with on-page SEO but had their off-page elements sorted out. 2. Oh, that’s an easy one. Content optimization has to be the most important and effective on-page tactic that people should focus on. Content optimization is an umbrella term that encompasses numerous key on-page elements. Each of these elements is individually capable of making a significant difference to your SEO. Other than writing unique and engaging content, there are aspects like your keyword density and content structure. Ranking algorithms are designed to pick up on keywords and ranking results accordingly. It’s your job, then, to make it easier for them to pick out your targeted keywords. This is where using a proper title and heading tags come in. Image optimization, internal and external linking, and word count per post are other contributing factors. All of which, in their own way, is a part of content optimization. 3. I think I’d go with link-building efforts. We know that Google ranks links as one of their top three factors for determining search engine rankings. It makes sense, then, to concentrate your off-page optimization efforts on link-building activities. Start off by looking for already curated lists of blogs that are relevant to your niche. You’ll easily find plenty of them online. Reach out to them with your pitches. You can offer a free sample to key bloggers and influencers to source product reviews. This is an excellent way to earn backlinks from high DA sites and blogs. At the same time, remember to monitor bloggers who are using your brand name but not linking back to you. That’s a lot of untapped potential and unearned links that can impact your SEO. 1. We balance it out. It is important to remember that efforts on both On-Page and Off-Page Optimization are both equal in significance. One cannot be disregarded for the other. Additionally, continuous efforts on both of these ae immensely beneficial for SEO. 2. I wouldn’t want to stick to just one tactic. Title tags, URL slugs, Meta description, keyword density, keyword placement, etc. are the things that make up for an effective on-page optimization tactic. If even one of them was missing, it would greatly diminish the effect of your on-page SEO. 3. Much like on page optimization, off page optimization is not effective without doing all the tactics. However, one tactic comes out on top wherein off page optimization will not be complete without it – link building. The building of links for off page optimization can never be understated as it is the foundation of almost all of the off page optimization tactics. 2. It *must* be at least two tactics 1) Making the page accessible / rapid to load (else everything else is pointless! ), and 2) Outstanding, optimized content (because without content you can’t gain visibility). 3. Relationship building / Link earning! 2. Getting the keyword right and putting it strategically on the page. 3. Guest posting with links back to my best content. 2. Digging deeper in keyword research using tools like KWFinder and SEMRush to find super-relevant keywords that are less competitive and easier to rank for. 3. Backlinks analysis using tools like HREFs but broadening my research for not just the obvious local/nationwide competitors but also neighboring industries and for companies that work in other same-speaking languages worldwide e.g. As a Brit, I regularly research top performing companies in and industry in the States, Canada and Australia to find emerging trends and backlinks that I can replicate. 1. Unfortunately, it’s impossible to put a specific number on this. It really depends on the client and the website. We’ve had clients that are fairly optimized and ready to go with a few tweaks, we’ve also had clients whose on-page is disastrous. It really depends on the starting point (because you do want your site optimized before focusing on off-page). 2. Content, content, content. Yes there are plenty of things to optimize for in terms of on-page SEO, but without the content, there’s nothing to rank in the first place. Plus, without content there’s nothing for the visitor to consume – which is the important part. My rule of thumb is: create content for humans, edit the content for search engines. 3. It still has to be link building. There is a whole lot of noise about how much the SEO industry has changed, how SEO is dead, or how link building is dead. The truth is, it has changed a bit, but the basics are still the same. Links still drive rankings as an off page signal. You just have to be better and smarter about how you build and attract links (and market your business in general), which isn’t necessarily a bad thing. 1. I would say about 70% of the bandwidth we spend on SEO is spent working with on-page elements. Whereas the remaining 30% is spent off-page. The main reason for this large 70/30 gap is because on-page has a lot more factors in play in comparison to off-page. But that does not mean that the value of backlinks and backlink audits are not extremely valuable still. I would go as far as to argue that backlinks are still one of the top two ranking factors. On-page and technical SEO just has a lot more to consider such as; meta tags and the importance of CTR, dwell time, content optimization, image optimization, crawl reports, HTTPS migration and much more. So, naturally it is more time consuming. 2. Site Speed, more specifically mobile site speed. The reason being is mobile first indexing has put a major emphasis on having not just a mobile-friendly website, but also a relatively quick site. The beauty of a fast mobile site, is it also influences other behavioral factors that Google does look into such as; dwell time, pages per sessions, conversions and ultimately click-through-rate. 3. 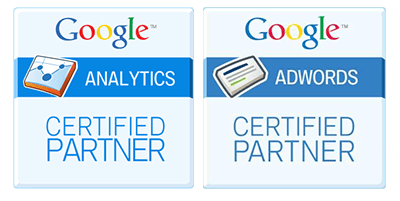 Full manual backlink audits using Search Console. A lot of SEOs will either neglect this step, which is an incredibly powerful task to complete. 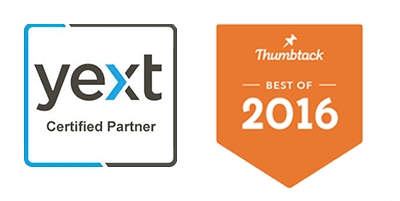 From my own experience 80% of the sites I have done backlink audits for experienced a 20% growth organically within 4-6 weeks. Again, backlinks are still a very valuable part of a SEO strategy, but the bad ones can surely hinder organic growth, or even kill it. 2. Include keywords and exact-match questions for content and H2 tags. 1. I spend probably 90-95% on on-site optimisation (technical & on-page SEO), with an occasional link building project. That reflects my skillset & clients though, not the balance of ranking signals! 2. Technically, making the site as easy to crawl and index as possible. Remove pointless pages, tune a site so its fast to load, make the most of your internal link structure and so on. When it comes to your pages themselves, target audience intent (and therefore whole groups of keywords) rather than writing about a keyword. It’s what Google is trying to do, so we need to follow. 3. Think bigger. Building local SEO links is effective, but for most businesses and sites you need more to compete. And to do that, more ambitious campaigns are the way to go. Either look to build something of interest to journalists or writers at large publishers or something of incredible value to those covering your target market. A few highly authoritative or incredibly relevant links can have an outsized effect on your performance. So, PR-led campaigns to capture large publisher attention, or creating incredible resources for your industry or market should form the main part of link building efforts, with some local and other smaller tactics sprinkled in. 2. Write high-value, keyword-focused articles! Without these, you don’t have any link-worthy content and the off-page SEO won’t work. Of course, this assumes that your sales pages (the product and service pages on the conversion-optimized sections of your site) are also keyphrase-focused for the commercial-intent phrases! 1. 70% on-page, and 30% off-page. In an ideal world, these numbers need to be flipped in order to scale faster. 2. I couldn’t choose just one. On-page optimization requires various tactics, glued together by a cohesive strategy. That said, here’s what I’d focus on: make your content and your website as user-centric as possible. Use your content to answer user intent directly, and in the post efficient way possible. This means making your content accessible, easy to digest, accurate and genuinely useful. 3. I’d probably go with answering HARO (Help A Reporter Out) queries. Out of all of the tactics I’ve tried, this one delivers big with minimal time invested. Sure, you won’t always get published – but you’ll find opportunities via HARO that you won’t find elsewhere. And because of the quality of some of the opportunities, it’s also a great way to build your personal brand. That said, in an ideal world I’d always want to leverage as many different tactics as possible. 1. While were are starting to get more aggressive with link acquisition then we have in previous years we still focus a lot of our efforts primary on on-page SEO focusing on a mixture of content creation as well as technical analysis and updates of our pages structure, meta data CTR and related usability factors. 2. If I only had one tacit to work with for on-page SEO that would most definitely be to focus on creating great content that naturally attracts traffic. Be that great blog post, engaging infographics or related multimedia. 3. We are fans of outreach related link acquisition and find its a good way to improve google rankings. This could come in the form of broken link building or outreach by which we make other site owners aware of content on our site that may be a useful reference for their audience. Many of the SEO experts in the space get their experience from years of testing and proving marketing hypothesis and then rolling these insights into their campaigns. While some of our experts have a fairly close split between the time dedicated to On-Page SEO vs Off-Page SEO it seems the overall summation is that these two aspects of digital marketing can’t exist independent of each other. The fact that the exact percentage of time between these two SEO disciplines are varied between each expert polled should be an indication that SEO is not and likely never will be an exact science. Just about every individual and agency in the space have their own processes and methodology for both On-Page and Off-Page SEO. This is what leads us to wonder how other industry experts divide their time between these varying aspects of Search Engine Optimization. Love this post. Amazing to see the differences in percentages between on and off page. I think what I’ve seen over the past decade is more focus on the on page. It seems content has gotten longer for SEO ranking. Thanks for putting this one together for us. Interesting! I spend a greater percentage of my time on off-site SEO (80%) than all of the other respondents. Maybe I should rethink things?? We spend about 85% doing onsite and it works for almost every single client, across many niches. Great post, I know personally I spend a lot of focus mostly on on-page SEO but perhaps I need to look at off page seo more seriously this year.